It’s fair to say that there’s been something of a buzz about Bordeaux of late. From the introduction of its hi-tech tram system and the pedestrianisation of key shopping streets to the cleaning up of its historic honey-coloured architecture and the ongoing renovation of the riverfront, the place once known as the ‘Sleeping Beauty’ has very much woken up. Plus, if it needed any further shot in the arm, then it certainly got it when half the entire city was given a UNESCO World Heritage listing for its outstanding ensemble of classical and neoclassical architecture. No wonder then that “La perle d’Aquitaine”, also renowned for its world-class wines and top-notch gastronomy, was named the Best European Destination for 2015. Fast-forward to 2017, however, and now there’s even more reason to get excited. Not only has the shiny new wine museum, Cité du Vin, opened its doors to much fanfare (more of which in a moment), but the new high-speed TGV train line from Paris will cut the travelling time to just over two hours. So, let’s say you’re planning to hop on the train for a day trip from the French capital (yes, that really will soon be possible) or a weekend away; just what exactly should be on your Bordeaux bucket list then? Well, a good place to begin, while also helping you to get your bearings, is to simply start exploring this cosmopolitan city on foot. Famously used by Baron Haussmann as the inspiration for his remodelling of Paris in the mid-19th century, the smart streets retain much of their elegant grandeur today – the distinctive sandy-coloured buildings now lined with stylish boutiques, appetising bistros and alluring little bars and cafés. Incidentally, if Toulouse is known as the ‘pink city’ then Bordeaux should surely be the golden one, the long, low rays of the southern sun giving its creamy butter stonework an auriferous glow. In short, it’s the sort of place where you’ll want to Instragram everything. 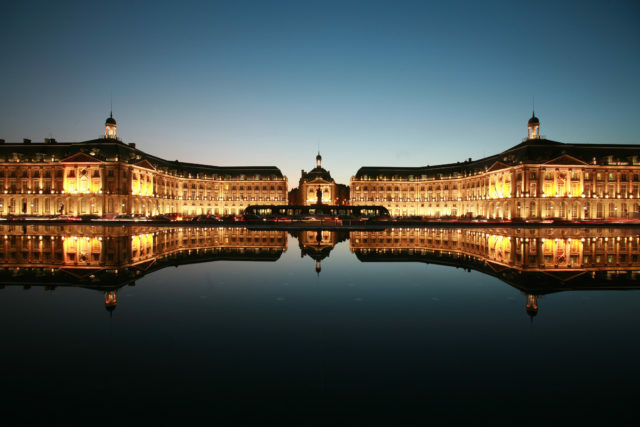 The UNESCO part of the city takes in some 1,810 hectares, comprising most of the area between the outer boulevards and the ‘Port of the Moon’, the crescent-shaped bend formed by the Garonne river, as well as the strip of land along the right bank. For an enjoyable guided walk taking in the best sites, visit the official site of Bordeaux Tourism. Among the highlights are the striking neo-classical façade of le Grand Théâtre, the foam-clad horses of the Girondins fountain and the iconic Place de la Bourse, now reflected in a striking ‘water mirror’, a sight that has come to symbolise the city around the world. Other ‘musts’ include the 11th century gothic cathedral, Saint-André, complete with its free-standing bell-tower topped by a golden statue of the Virgin Mary; the Grosse Cloche, one of the oldest belfries in the country dating from 1775; and be sure to look out for the lofty spire of the Saint-Michel basilica, the tallest building in south-west France. When it comes to museums and galleries, you’ll be spoilt for choice. Ranging from the Musée d’Aquitaine, one of the largest French history museums outside Paris, to the Musée des Beaux-Arts, showcasing European masters in its newly-renovated building, through to the Base Sous-marine, a contemporary arts space housed in an old World War II bunker, there is truly something for all tastes. However, if you do just one thing then be sure to plan in a visit to the newly-opened Cité du Vin. Cementing the city’s status as the wine capital of the world, this state-of-the-art culture centre offers an interactive, immersive experience paying homage not only to French viticulture but to the great vineyards around the globe. 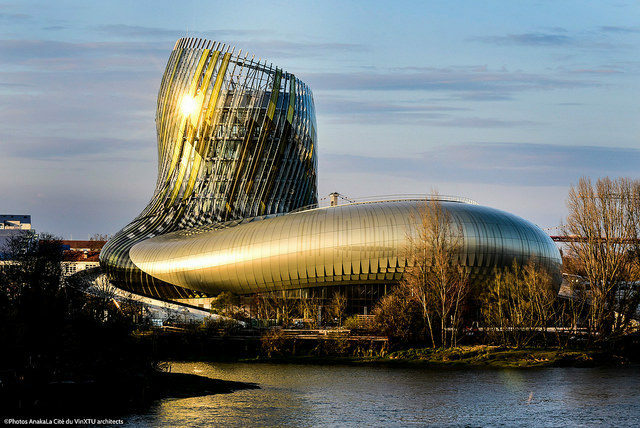 Dubbed the ‘Guggenheim of Wine’ for its strikingly curvy structure, it’s worth a visit for the building alone – and, what is more, the final phase of the tour will take you up to a height of 35 metres, where you can enjoy a panoramic view over the city while sipping a glass of grand cru. Back on terra firma, no trip to Bordeaux would be complete without a spot of retail therapy. 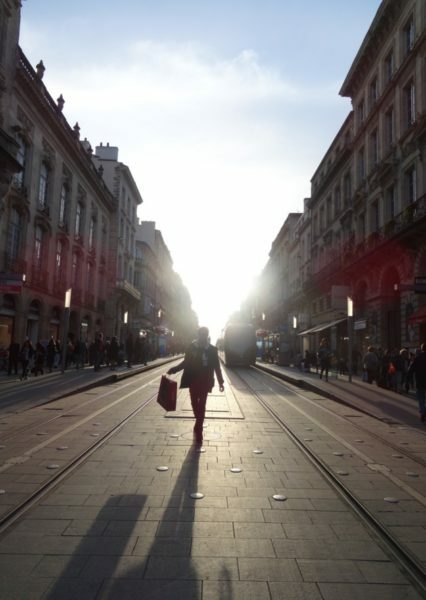 For the smartest shopping area of the city, head to le Triangle d’Or at the top of Rue Sainte-Catherine. With everything from Galeries Lafayette to agnès b and Paul & Joe, there’s no shortage of fancy French brands – and often with a rather more laid-back vibe than in Paris. 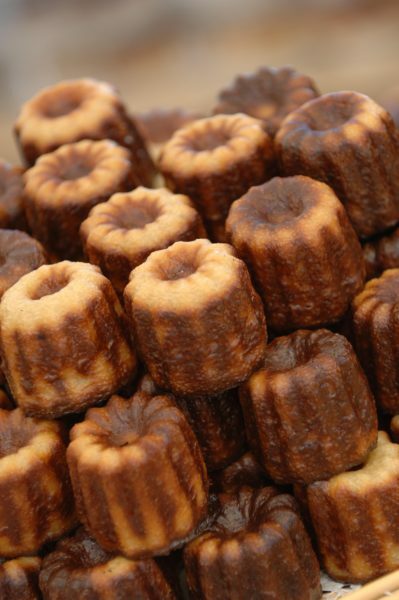 Also, be sure to visit one of the specialist shops stocking the region’s famous delicacy – the delectable, if expensive, canelé cakes, with their rich, custardy centres – a perfect present to take home for friends and family. Tucked away in a lovely vaulted cellar, this atmospheric wine bar offers over a hundred varieties of cheese and nearly 1,000 different tipples to try. What’s not to love? The bustling bistro of native chef Frédéric Vigouroux, this welcoming place is famed for its tasty, seasonal dishes using produce from the local markets. Founded in 1825, this is one of the oldest restaurants in Bordeaux and long-renowned for its traditional French gastronomy. Reminiscent of a fairy-tale grotto, the rocaille decor is all part of the mythical appeal. One of Bordeaux’s finest wine shops, here you will find 700 wines and champagnes, as well as 700 whiskys and 60 beers. We recommend timing your visit with one of the special tastings. The country’s largest independent bookshop, with 2,500 m² of retail space, there’s something for everyone here, including an excellent English-language section. Look out for the special author events too. No trip to Bordeaux would be complete without picking up some of the local delicacy, the delicious canelé cakes. They are available at various outlets but here it is their speciality. Set in a grand old townhouse surrounding a lovely courtyard, Hôtel Particulier also has an 18th century wine cellar where you can attend tastings of their 200-odd wines. Located among vineyards and forests, yet only 20 minutes from the centre of Bordeaux, at this exclusive hotel you can not only drink fine wines but also bathe in them at the ‘vinotherapie’ spa. 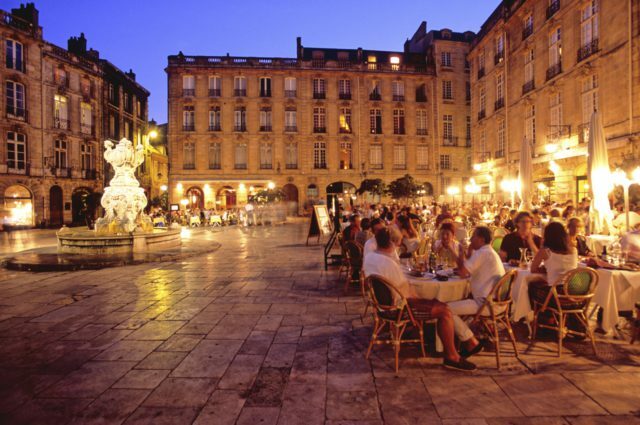 Invest in a money-saving Bordeaux Métropole CityPass, which combines free public transport with access to tourist, cultural and leisure attractions, various sightseeing tours and discounts on other activities. See www.bordeaux-tourisme.com.